Top Notch Material: Lassig Green Label Neckline Bag is an AMAZINGLY Functional and Stylish Bag! Lassig Green Label Neckline Bag is an AMAZINGLY Functional and Stylish Bag! When I first heard about the Lassig Green Label Collection I was intrigued to say the least. This bag had a cool and classic look, and very classic, so it is a style that will never go out of date. The Lässig brand embodies an ideal blend of versatility and innovation, with convenient features and chic details to combine fashion, safety and sustainability. A company dedicated to creating consciously-crafted diaper bags, kids' bags, bibs, dishware and other high-quality accessories for the modern family. In addition to being sustainable, Lässig ensures that their products are durable and made to last. Lässig production adheres to strict quality control measures and is constantly monitoring production standards. Lassig is distributed by HABA USA. For more information on Lassig, please visit www.HABAusa.com/Lassig. Another reason I wanted to check out this bag was its price point. At over $100, I knew it was not some fly by night bag you might see at your local Walmart. 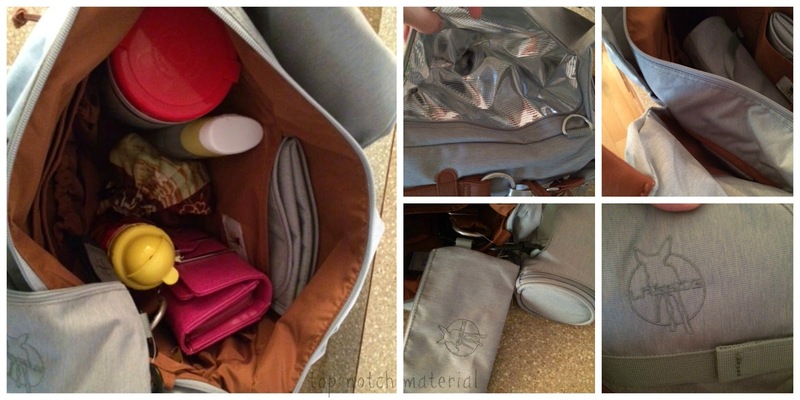 I really wanted to know what made this bag so much different, and so much better! As I started exploring my bag more I realized many features that stood out to me that sets it apart from other bags. First off, size. This bag is quite large, but the slouchier design makes it seem not so bulky. I need a larger bag right now because I have a school aged child, a toddler, and soon to be another baby, so I will be packing items for everyone!! This bag is amazingly lightweight and the inside is waterproof which is wonderful, because we all know sippies sometimes spill and leave a mess in your bag. ►Four front 'bonus' compartments are located at the base of each handle that are ideal for sunglasses and your smartphone. One of the bonus pockets includes two pen loops, and another includes a removable hook for keys. ►On the front of the bag, there is a large vertical zipper that opens up to reveal a large insulated pocket for keeping food items. 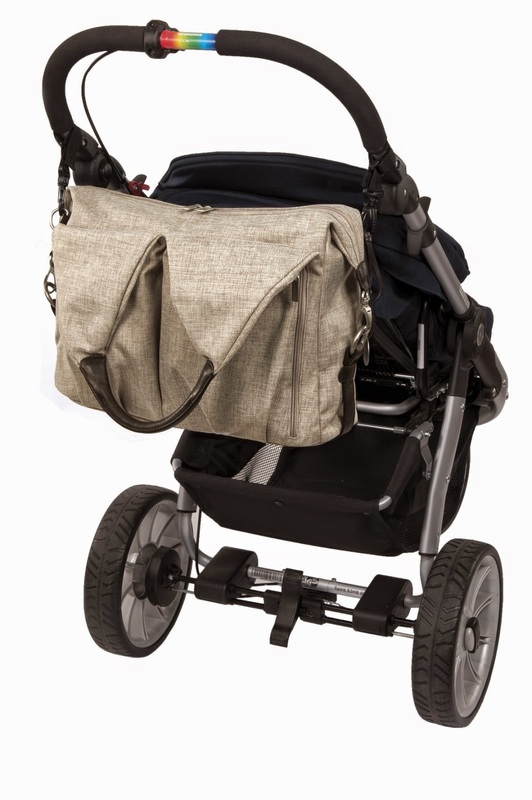 ►Additional stroller hooks and adjustable shoulder strap are also included. I particularly LOVE the pockets at the end of every handle. They are very roomy and there is even mini pockets inside those pockets which are perfect for smaller items, like jewelry or hair accessories you do not want misplaced. On the front there is a zipper compartment that is a pocket that is INSULATED! This is perfect for breastfeeding moms with frozen milk, or for baby food that needs to be kept cool. It comes with a nice quality changing pad, and another shoulder strap if you prefer a messenger bag look. I also love the additional stroller hooks. This is seriously a lifesaver and must have for visits to the amusement parks and other places that require lots of walking! As I said, I definitely learned what sets the Lassig Green Label Neckline bag apart from others. 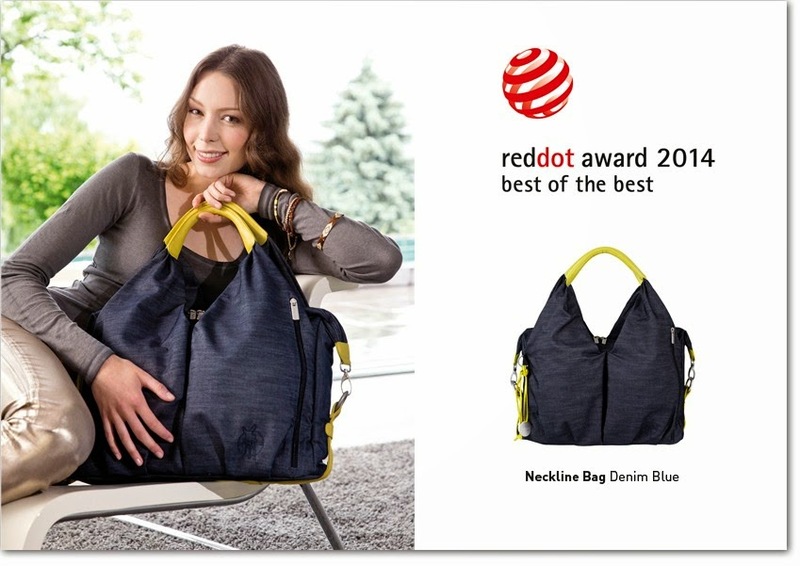 It is a beautiful bag that is available in six stunning colors. It is a quality bag and I know it will last me for years to come! I am thrilled with it, and I know you will be too! I remember when all diaper bags had bears and bunnies on them. They sure have come a long way! I would carry this as a regular bag and no one would even know it is a diaper bag! Looks like a great bag. Not in the market for one like this. I love all of the space that this bag has in it! This would make a great market bag or even a diaper bag for my daughter in law!